Bristlecone Shooting, Training & Retail Center is happy to provide consignment services to our customers and Members for non-NFA firearms. Here is what you need to know about the consignment process and purchasing a used firearm at Bristlecone. All consignment decisions are at the sole discretion of management. Bristlecone is in no way required to agree to consign a firearm. The Bristlecone Gunsmith and Management will evaluate the consignment prospect to determine if Bristlecone will accept the firearm in to the consignment program. Value will be assigned at that time and a general cleaning will be performed. Management and the Consignee will determine the starting sale price and the minimum acceptable price. All Consignees will need to present a valid Driver’s License and up-to-date contact information to initiate the transaction. Bristlecone will display the firearm for 60 days, accepting 15% commission which will be deducted from the sale price once the sale is made. Payment will be made to the Consignee within 5 business days of the sale via check. Firearms that are not sold within the 60-day timeframe will be re-evaluated and either returned to the Consignee, or will continue to be displayed at a higher commission rate (20%). Firearms returned to the Consignee before a sale is made are subject to a $25 transfer/processing fee. Buyers are subject to all state and federal firearms purchase requirements. Bristlecone will not accept consignment firearms that do not comply with Colorado Law. Bristlecone provides no warranty to buyers on consignment firearms. Bristlecone will not accept returns from buyers on consignment firearms. Bristlecone does not guarantee the sale of consignment firearms to the Consignee. Consignor may terminate this Agreement at any time upon at least 2 business days’ written notice. Upon termination, Consignor will be subject to the $25 transfer/processing fee. Bristlecone will make every effort to maintain the original condition of the consignment firearm during its time in Bristlecone’s inventory. Bristlecone uses the same handling standards for all new, used and consignment firearms in the store. Wear and tear associated with general handling should be expected. 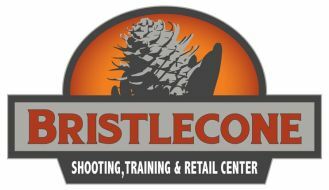 Bristlecone customers will be allowed to test fire consignment firearms upon request using Bristlecone ammunition. All consignment firearm purchases facilitated through Bristlecone Shooting, Training & Retail Center are sold “as is” and are final. Consignment firearms are not warranted in any way and are not eligible for Bristlecone’s 30 Day No Regrets Return Policy (valid only on new firearms purchases in-store).